Australia always seems to be the most popular country gap-year travellers flock to, and we can see why. There are so many different places to explore, from urban cities to rocky deserts and sandy beaches to picturesque parks. Each area has its own unique charm and appeal and one thing is for sure, there is something for everyone in Australia. It’s an incredibly large country divided into individual states and various territories with a number of diverse landscapes and attractions like the renowned Sydney Harbour Bridge and Great Barrier Reef. Sydney and Melbourne are undoubtedly the most popular destinations people will choose to visit in Australia as they’re the most heard of. 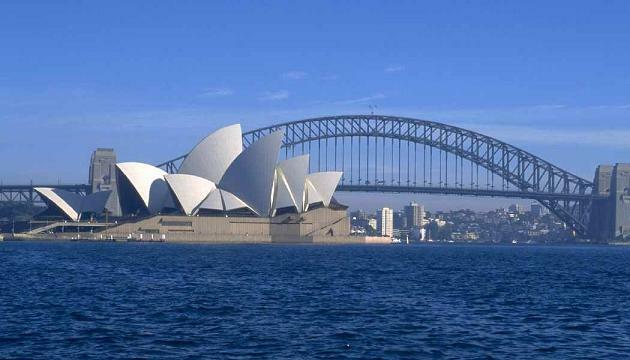 Sydney is infamous for its picture-postcard Harbour Bridge and Opera House which are instantly recognised all over the world. This urban city is at the centre of it all, some could say it’s the New York, Paris or London equivalent of Australia. Melbourne is the cultural capital of Australia, with its elegant buildings and churches, beautiful beaches, tree-lined boulevards, botanical gardens and parks and the Melbourne Museum. Melbourne is home to the oldest zoo in Australia where the wildlife is preserved well. Spotting the occasional kangaroos, emus, wallabies, koalas and cockatoos on the streets of this delightful city isn’t surprising so you may as well leave your binoculars at home. Queensland – Australia’s ‘Sunshine State’ – is the ultimate vacation getaway for outstanding rainforests, vibrant cities and immaculate beaches. It is also the gateway to the Great Barrier Reef and beautiful coastal resort Port Douglas which is close to another tourist attraction, Daintree National Park. You may go hoping to find just a few attractions but you’ll get more than you bargained for which is the great thing about this place and Australia in general – there’s a surprise around every corner. Perth is the sunniest state capital with an average of 3,000 hours of sunshine each year on top of being home to 19 of the most beautiful, clean and less crowded beaches. Located next to the Swan River, Perth boasts one of the biggest inner-city parks in the world – Kings Park and Botanic Garden – which is even bigger than New York’s Central Park. For individuals who love retail therapy, the high-end boutique shops and malls found around Perth are a must. The Gold Coast is one of the most illustrious Australian sun and surf holiday destinations for both relaxation and escapade. Surfer’s paradise can be found in the heart of the Gold Coast and certainly lives up to its name with its signature surf beaches, thriving nightlife, amusing theme parks and excellent shopping. Pay a visit to Mount Tambourine with its amazing glow worm caves and waterfalls or appreciate the real beauty of the Gold Coast with wonderful views from the world heritage listed Lamington National Park. Before you go down under, read our guide to the top places worthy of a visit when venturing to Australia. For the next seven days we will be featuring one key destination which is not to be missed during your travels. Make sure you check back tomorrow when we will be starting with Australia's largest, oldest and most cosmopolitan city, Sydney.